A privileged lifestyle awaits! Exceptional Custom Built Home With Luxurious Living Space in Elgin Chantrell! 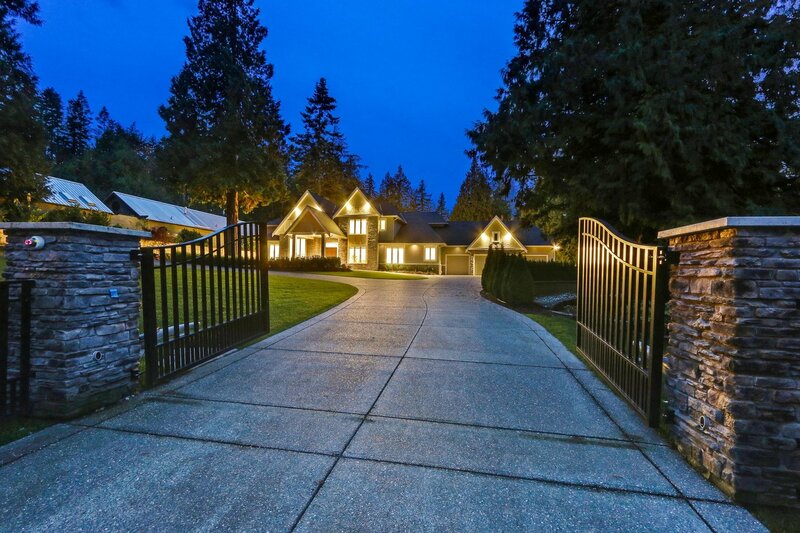 Long private drive leads to gated resort-like grounds on a picturesque settings. This 7 Bdrm 9 Bath Room Boasts The Best Of The Best In Upgrades, Design,& Landscaping. Main floor, grand foyer leads you to the double ceiling great room. Nearby Chef's dream kitchen with oversized refrigerator, large central island, spicy kitchen and pantry. Master Suites w/sitting area and Spa-Inspired Bathrooms plus a guest suite on this level. Upstairs, 2nd master bedroom w/sitting area, balcony and luxurious bathroom, plus 3 more en-suites.The Bsmt Is An Entertainers Dream With A Wine Cellar, Wet Bar, Media room, Gym, 1 bdrm and unfinished area. Minutes away from Cresent beach, golf course, Hwy 99.